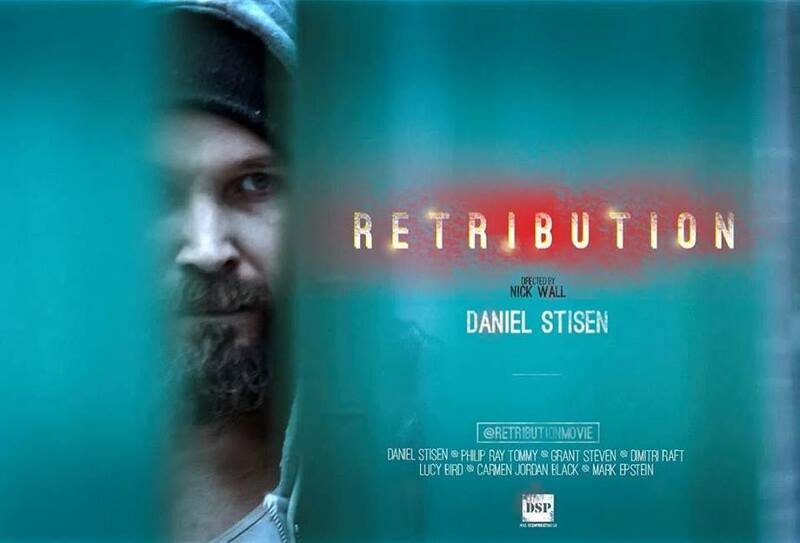 The short film Retribution is a violent snapshot into a very gritty and murky world hidden in the backstreets. It's also a superb calling card for actor and producer Daniel Stisen, who has left the world of bodybuilding behind to focus his energy on making films. This is the sort of short film that is demanding to be expanded into a feature. It provides the viewer with enough information to get through the ten minute running time, but leaves huge questions to hopefully be addressed in the future. As the film starts we are faced with a nameless man in a suit hanging from the ceiling. It's not long before two burly men start beating the hell out of him, demanding "the code". Meanwhile a very skinny crack whore, wearing a dirty nightie and chained to some part of the room, takes a hit of drugs and drearily looks on. Director Nick Wall is a seasoned photographer with a huge list of credits on IMDB, who has recently branched out into directing. He'd made another short with Daniel Stisen before this, called The Box, and has another in development. His background in photography has certainly informed his directing style, with some interesting blocking and shot composition going on. Its also lit very well by cinematographer Yannis Manolopoulos. Athough only ten minutes long, Retribution packs a lot in. This is a very violent underworld, where nuance and subtlety don't get a look in. The hobo has to prove himself capable of surviving in this place on numerous occasions, and isn't above "marking his territory" on his travels. You're never sure whether he really is "down and out" or if its some elaborate cover he's maintaining in order to find The Code - if its the latter he's certainly committing to the role! Retribution is one of those shorts which leaves you wanting more. Who are these characters? What is the Code? Why is it important? How is the hobo involved in it all? We need the story expanded, either as a feature or a series of further instalments. Whichever it is, I'll be waiting to catch more of the hobo and his world.